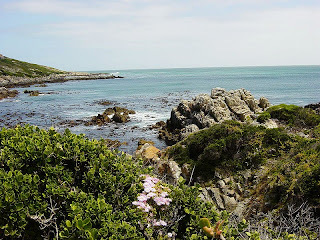 Looking to see the beautiful Coast of South Africa - take a roadtrip from Capetown to Port Elizabeth. 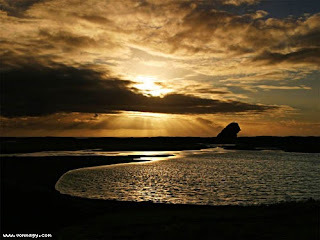 This is about 5 to 7 day itinerary and highlights some of the beautiful coast scenery of Southern Africa. Hermanus - Go whale watching, horseback riding on the beach, or take a cruise or yacht charter to spot penguins and seals more. 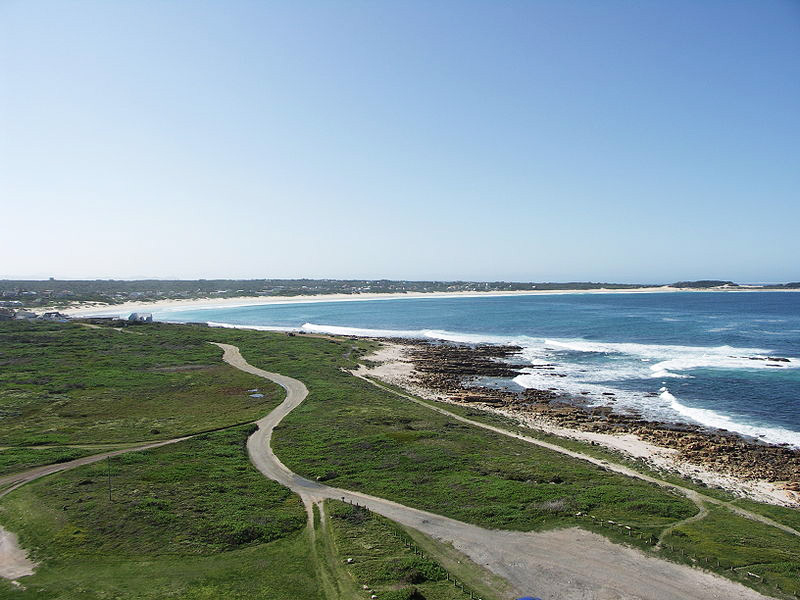 Gansbaai - After Kruger National Park, Gansbaai is the second most visited location. Why is that? Its for the Great White Shark viewing! If you are brave enough to go down in a shark cage, you can see these sea predators in Gansbaai. Pearly Beach - If you are looking for the ultimate white sandy beaches to laze around, then Pearly is the spot to go and relax. Agulhas National Park - Go to the mysterious and most southern point of Africa. Explore the graveyard of ships, stunning nature trails and abundance of sealife at this national park. 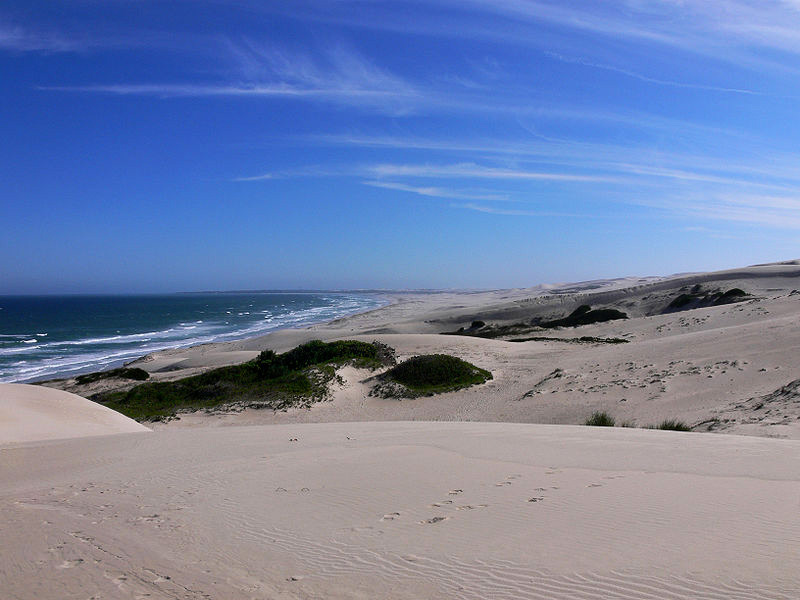 De Hoop Nature Reserve - As part of the Whale Trail, a five hike through stunning coastal wilderness, this 34,000 ha reserve has something for all nature lovers. Riversdale - travel inland to see the famous Sleep Beauty Mountain as well as colourful flora which comes alive during winter months. 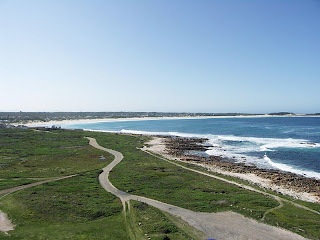 Stilbaai (Still Bay) - A sleepy town on the southern coast with rich prehistoric history. Still Bay has calm waters for swimming and is an excellent spot for anglers. 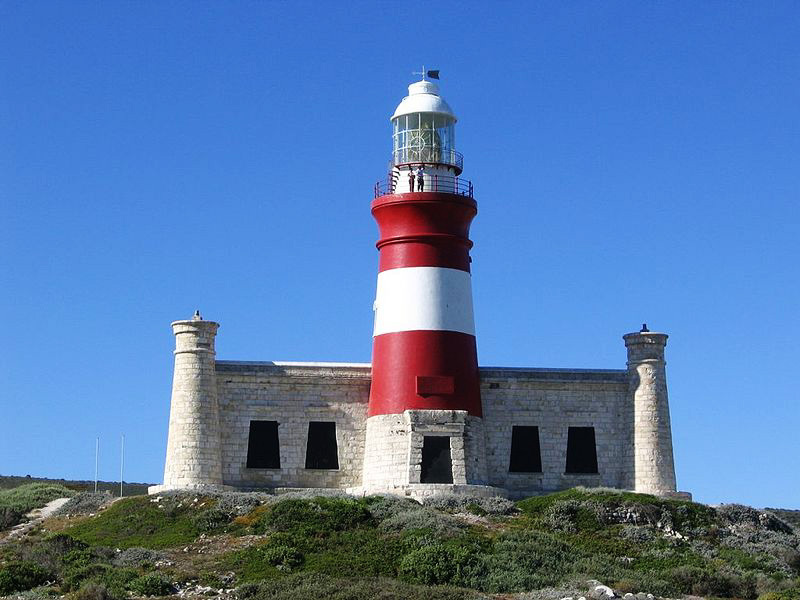 George - Situated halfway between Capetown and Port Elizabeth, George is a delightful town with a unique history. 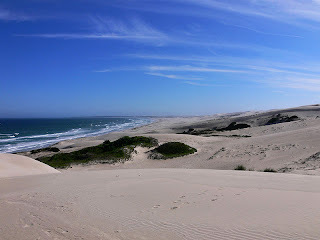 Goukamma Nature Reserve - See stunning dunes, coastal forest in this popularr nature reserve. Nature's Valley - Also along the Garden Route is Nature's Valley, home to giant native trees, stunning rivers, and unpopulated beaches. 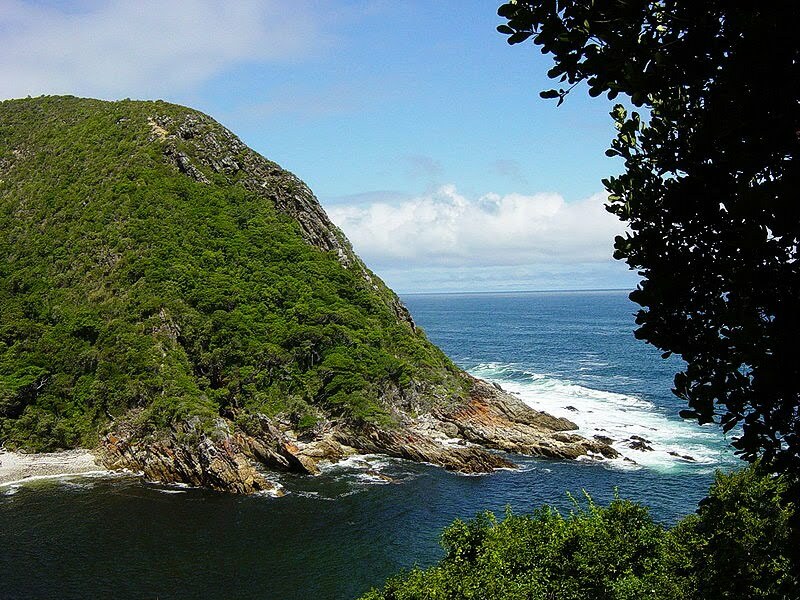 Garden Route National Park - Although its a relatively new park, Garden Route National Park has much to offer its visitors. 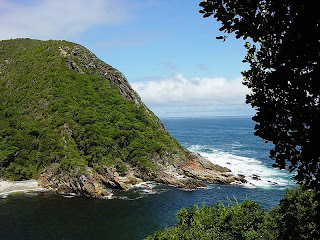 Visit the ancient Tstisikamma Forest, enjoy the lakes, mountains, rivers and ocean - Garden Route National Park has it all. If you only have a short time to to spend in around the Vancouver area, this is the perfect roadtrip for you. This can be done in about 3 or 4 days and showcases some the best places around Vancouver and Vancouver Island. Explore Nanoose Bay and surrounds for some great views. And don't for get to wave to the giant gnome. 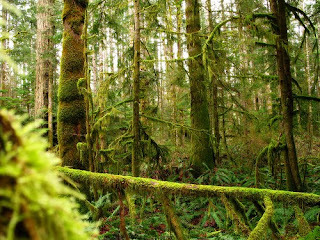 Here's a nice video of some of the Nature you can experience at Vancouver Island. 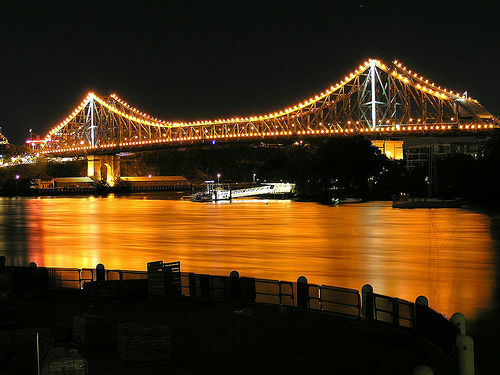 Looking to experience the golden sunshine of Queensland, Australia? Take on the open road from Brisbane to Bundaberg! The three day, approximately 650km drive from Brisbane to Bundaberg via back roads is a rewarding one. As the sealed roads open up through Wide Bay and South Burnett you will feel like you’re getting a rare glimpse into the past on this ideal motorhome rental road trip. 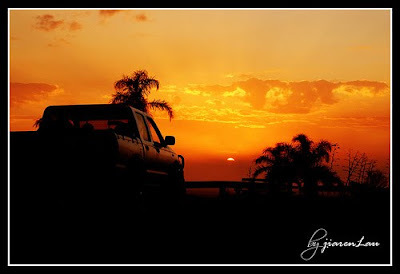 The road trip will take you from Brisbane to Maleny (approximately 1.75 hours and 94 kilometres), a four hour drive in your campervan rental will then bring you on to Gayndah, and then Bundaberg, which is about 3 hours (260 kilometres) from your second stop. This road trip can include seeing volcanic lava mounds or visiting parks, museums and a cheese factory along the way. To make planning your trip easier, we break down the sightseeing options below. On the first day of your road trip the drive from one city to the next will run you about an hour and forty-five minutes along Bruce Highway. If you exit the highway at Beerwah you can tour The Glass House Park, just northeast of Brisbane. Glimpse Mount Coonowrin or Beerwah and Tibrogargan--the latter two are referred to as the mother and father mountains according to Aboriginal legend--and get a look at cores of extinct volcanoes and both trachyte and rhyolite volcanic plugs in this national park, which opened in 1994. The term Glass House was coined by Captain James Cook in 1770 when he sailed in the Queensland area during his legendary voyage on the HM Bark Endeavour. 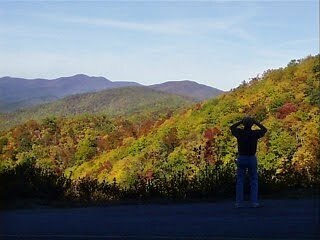 It is said the shape of the mountains reminded Cook of the large glass furnaces back home in England. For a look into the pioneer past of the area stop in Landsborough, which boasts everything from a heritage trail and quaint railway station to a Historical Museum. 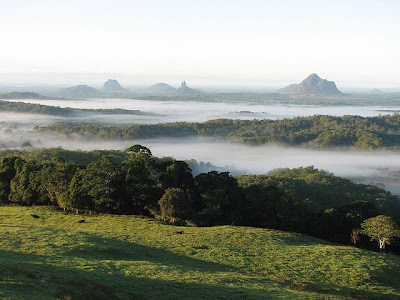 Fifteen minutes on you will find Maleny, where you can experience one of the best panoramic views in Queensland in Mary Cairncross Park. If you appreciate natural beauty and gorgeous views then Maleny isn’t a place you should miss. Take Maleny-Kenilworth road north-west through Sunshine Coast towns like Conondale and Witta. If you appreciate a good slice of cheese and sampling local products then make sure to take a bit of time to tour the Kenilworth Cheese Factory and then move on to Queenland’s “Golden City.” Gympie is a wonderful place to stop if you’d like to learn more about the history and culture of the area (try the Timber Museum, Andrew Fischer House and Lighthorse Museum to start). If you head west on Wide Bay Highway you have your choice of next stops. Kilkivan, once a town that lured settlers with the promise of gold, it now offers a variety of delicacies from lavender to redclaw crayfish, not to mention the town’s renowned olives. A bit further on you’ll find the agricultural area of Murgon where a large amount of produce is grown and the State’s biggest vineyard can be found. If you like to fish you'll want to head to nearby Bjelke-Petersen Dam, and if views are your thing then the top of Boat Mountain (about ten kilometers from the centre of town) should be your destination. Driving off from Murgon you’ll likely want to stop about four kilometers on in the Aboriginal town of Cherbourg, where you can pick up some great locally made souvenirs and keepsakes including beautifully carved eggs. 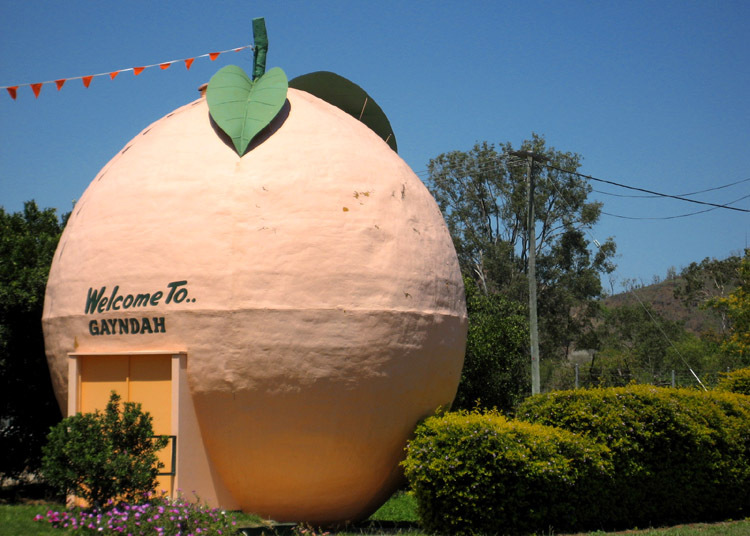 Your final destination for the day, Gayndah, is nestled in the middle of this area’s Citrus Country and along Burnett River (it can be reached by the Highway also named after the town’s settlers Archer and James Charles Burnett). First settled in the mid-1800s, Gayndah is the oldest town in the state and was once considered as a likely candidate for the capital. Eventually Gayndah lost out to Brisbane because the Burnett River was too shallow to accommodate cargo ships. When you come in off the highway stop by the Big Orange for some refreshments including a great selection of local coffee, tea and, of course, orange juice. There is also a great selection of unique crafts and gifts that you can purchase. For great views drive your motorhome rental to the top of Duke and Duchess Mountain, where the Thomas and Charles Archer Lookout provides a dazzling panorama of Gayndah below. The Gayndah Windmill provides a bit of history, while a drive down Old Mundubbera Road (open from April to July), or a tour of Ellendale Orchard, will allow you to sample some of the delicious produce the town is famous for. Leave Gayndah as you came, via the Burnett Highway, driving towards Mundubberga where you will find the Big Mandarin Caravan Park. This is a great option if you’d like to stay for awhile. From Mundubberga you can sample even more local produce and arrange to visit the nearby Golden Mile Orchard. You can also keep driving for about a half hour after leaving Gayndah, pulling off into Eidsvold, a great place to park your campervan rental and get some fresh air with a stroll through the town’s Historical Complex. Driving your motorhome rental further down the Burnett Highway you’ll want to turn off at Ceratodus and then head east on Kerwee, which will take you past Mount Perry. A great drive in these parts is Tourist Drive 6, just follow the posted signs to reach the Boolboonda Tunnel. Constructed in the 1880s Boolboonda is the largest unsupported tunnel that exists in the Southern Hemisphere. A little while on the Gin Gin Highway—just about 28 kilometres before reaching Bundaberg--you will come across a unique rock-and-crater formation known as the Mystery Craters. Bundaberg itself is great for nature lovers, as it offers something for both botanical and animal aficionados. Tour the Botanical Gardens, view the 7-storey Whaling Wall mural that depicts the annual whale migration that occurs in these parts, or get a bit of history at the Bert Hinkler House and Museum. Nature, fun and history will mix and mingle on your motorhome rental road trip if you decide to make the trek from Brisbane to Bundaberg, two beautiful cities in the Queensland area that offer so much to experience. Lets start our first Roadtrip off with a little known gem only 45 minutes from Auckland, New Zealand. When most tourists ask Aucklanders 'Where should I go?' they immediately answer 'Check out the South Island!' While the New Zealand South Island is one of the most beautiful places on the planet, I suspect that locals direct others as far as way as possible from some of there own little treasures. 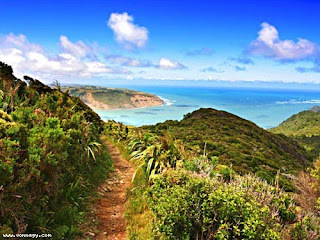 Whatipu is the northern entrance to Manukau harbour and is made of large dunes and coastal wetlands. 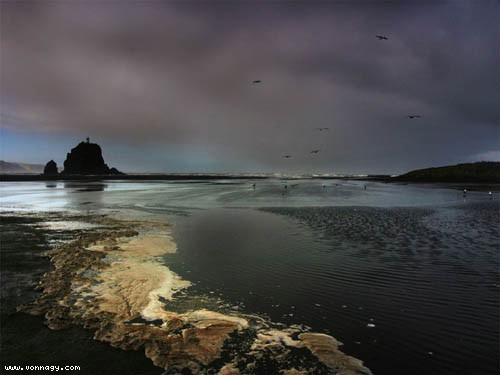 You can also surf here at your own risk, just be careful of the riptides. The cliff areas also have some caves worth exploring. One word of warning - the last 5 kilometres are unsealed and should be driven very carefully. If you hire a Motorhome, it probably shouldn't be driven here. 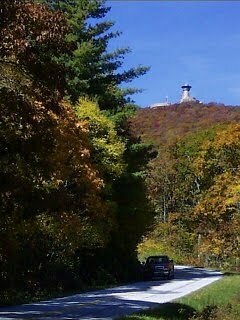 This complicated by the fact locals drive this road with reckless abandon and I have personally seen a couple of wrecks happend and had my share of near misses! However, if you drive defensively, this one the best roadtrips to start off your holiday in New Zealand!